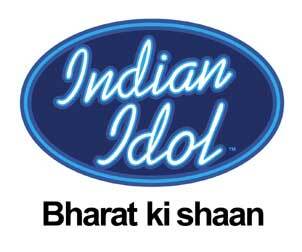 This time I salute Indian Idol contestants. All 4 seasons they have had mostly mediocore singers, with one or two good singers. Only a few contestants linger on in our memory, Abhijeet Sawant, Amit Paul, Aditi Paul, Bhavya Pandit, Torsha Sarkar were good singers. Only good! They made quite a few mistakes as they went along in the competition. For me there was only one wow moment. When Amit Paul sang Nasha Ye Pyaar ka Nasha Hai from Mann. It was magical. Indian Idol 5 is a different ball game altogether… The singers are OUTSTANDING. Each one gave me goosebumps. Not one made any mistake and this is only the Piano round. I don’t want to lose any of the 16 contestants. They are soooooo good. Hope people vote for them with all their hearts and not their regional affinity. hey how can u forget Rahul Vaidya – he had a gr8 voice!! I got to check it on youtube!! Yeah Bhavya, Amit Paul are good singers, never really liked Abhijeet Sawant’s voice. There were few other I liked, I don’t remember their names!